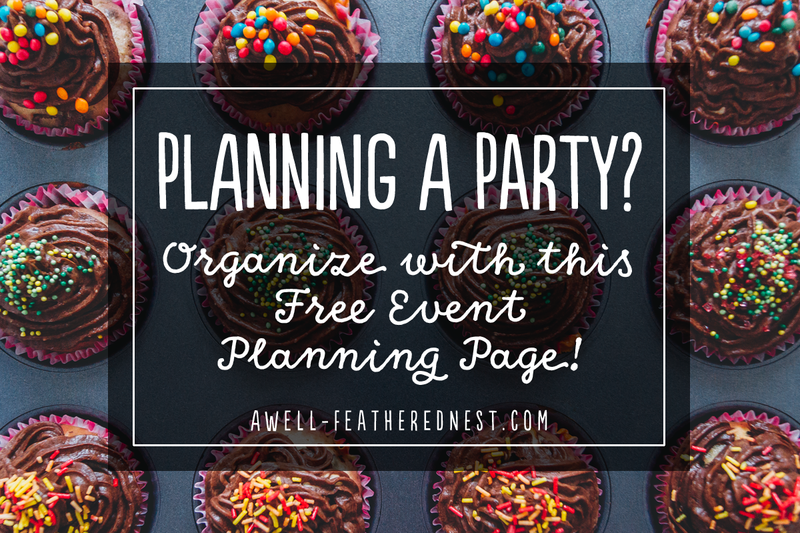 A Well-Feathered Nest: Download a FREE Event Planning Page! 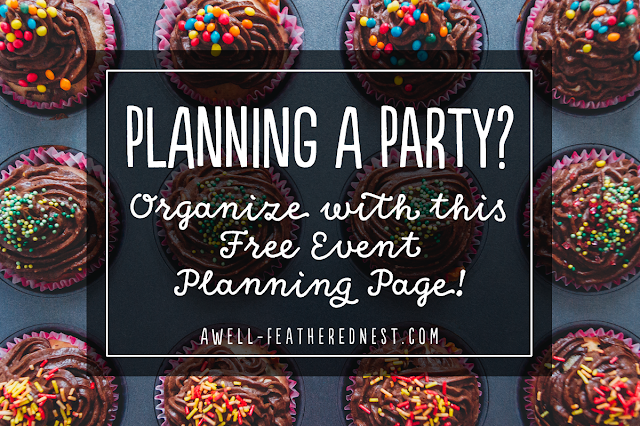 Download a FREE Event Planning Page! This time of year can begin to get crazy...fast. With all the decorating, special events, visiting friends and family, and holiday parties, I often find myself rushing around like a crazy person. This year, I have a couple of different events that I'm either in charge of planning or hosting in my home, and I needed a place to keep all of my thoughts about each of them together but separate. 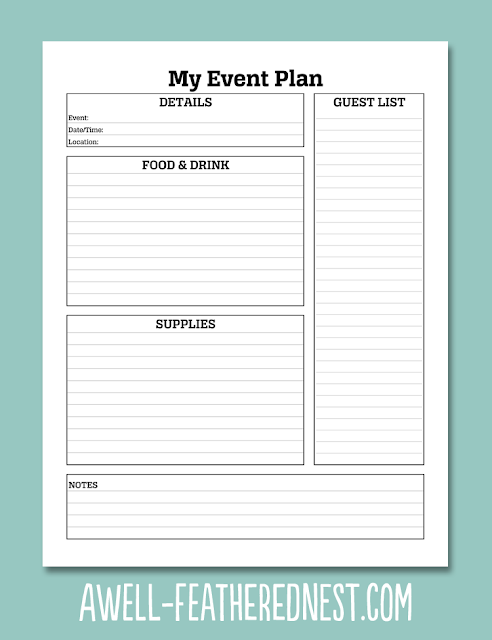 That's why I created this simple event planning page, and I wanted to share it with you all. I hope this will help you to organize their parties or other events, so you can steal a few extra minutes with those you love in this season. Click the image below to download your PDF planning page!